It sure as heck was for me. I mean, come on. Think about it. I was going to miss good cake. And good pastry. But I never really ate those a ton, and I could always substitute something like ice cream or a straight up chocolate bar for a sweet anyway. But I LOVE pizza. And how in the world do you make a really good gluten free pizza with a great gluten free pizza crust? One that tastes like your favorite pizza joint that you grew up eating? I finally found a place in town that does a pretty darn awesome gluten free pizza, but then I found out I can’t have yeast or eggs either. Um, what?!?!? Isn’t that what pizza crust is basically made out of? 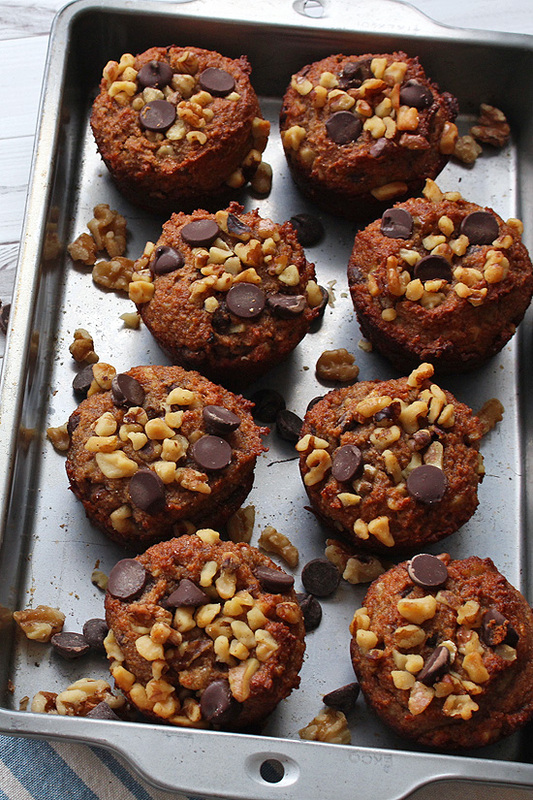 Wheat flour, yeast and eggs? Thinking I was probably going to have to give up pizza completely and forever, I made one last ditch effort to do what any normal person would do in my situation. 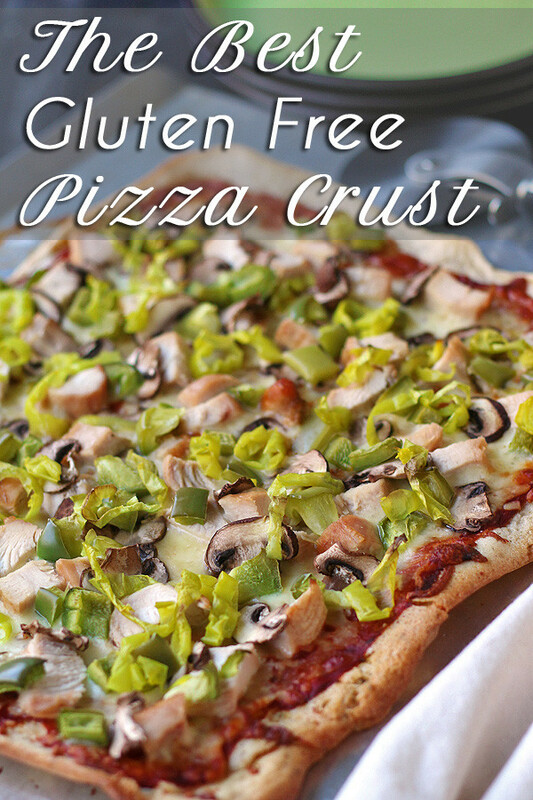 I googled gluten free, yeast free, egg free pizza crust. I figured it was hopeless, but I had to try. I got a hit. No way!?!?! And this is what I found. Reviews for Namaste Foods Pizza Crust on Amazon showed up at the top. What was even better was that the reviews gave it, like, 4.5 stars. And every review said how they decided to try it because of the great reviews, but they really didn’t think there was a way that a pizza crust without gluten, yeast or eggs could possibly be good. And they were pleasantly surprised. Just so you know, I don’t normally do reviews. It is something I really haven’t ever felt too comfortable with. You get some product in the mail and then spend time trying it. (It usually isn’t something I would normally eat.) Or you get a coupon, which means now I have to go find it myself at some store. Then you try the product. It may or may not be ok. Then you take the time to write up something and/or take a picture. That’s a lot of time and energy for a free cookie. I have work to do. Kids to be with. A husband to be with. Family and friends to be with. Don’t get me wrong, I will do an occasional review, but it is usually for a friend because I want to help them out. And I trust their stuff. The two reviews I have done so far have been for friends. BUT…. I just HAD to tell you about this. I have to tell EVERYONE about this. 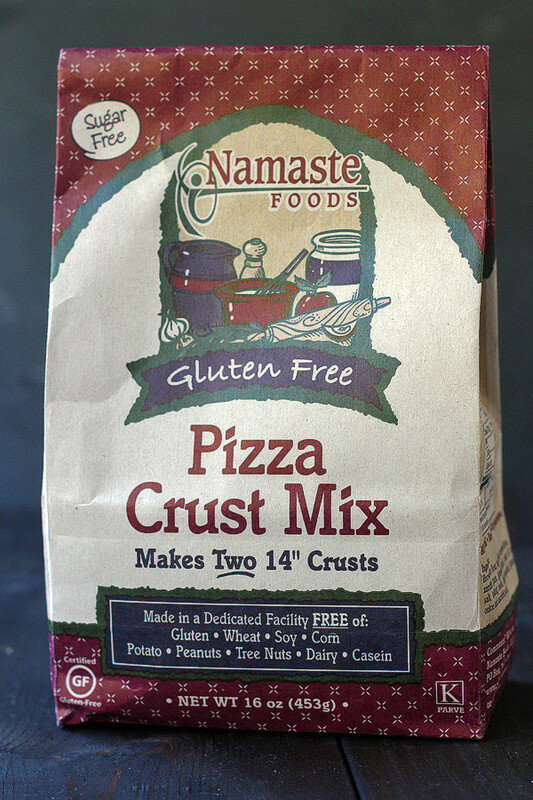 Namaste Foods Gluten Free Pizza Crust is not only one of the best tasting pizza crusts I have ever had, gluten free or gluten full, it is one of the easiest to make. I kid you not. It’s like making a box cake mix. Almost literally. You measure out 1 ½ cups mix, add 1 tablespoon oil and 1 ¼ cups water. Mix. 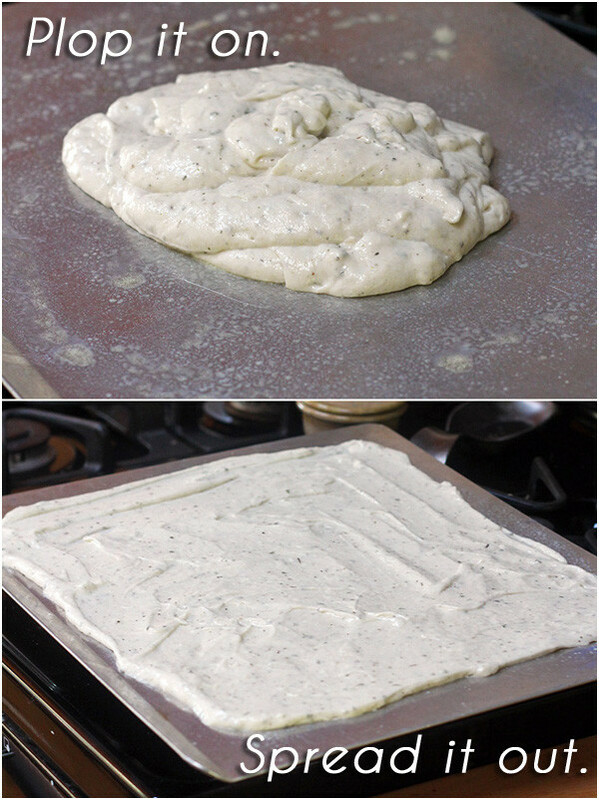 Spread on a pizza pan or cookie sheet. Bake for 20 minutes. Makes one 14 inch crust. 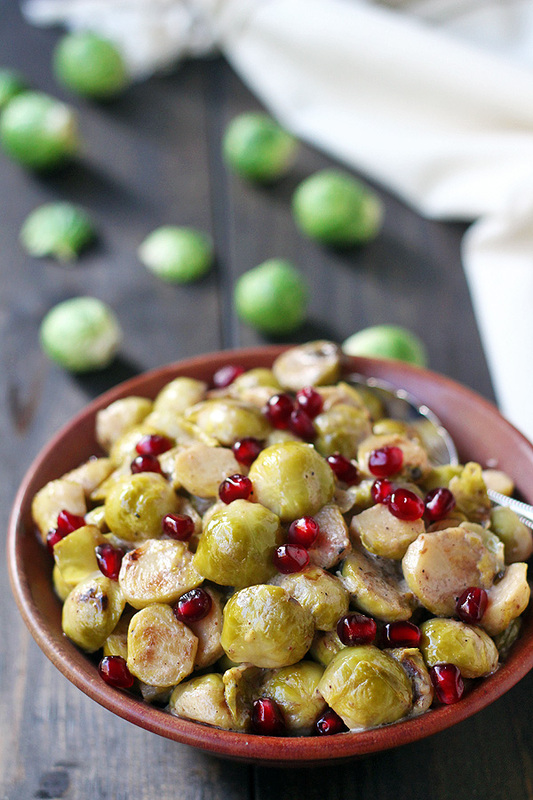 Add your favorite toppings, and pop back into the oven for 10-15 minutes. Or use the whole bag of mix and double the rest. Makes 2 crusts. There you have it. Or there you will have it once you get some for yourself. I just buy it by the case on Amazon, but you can also buy it single packs at Vitacost.com. It also might be available at your local store. You’d have to check. 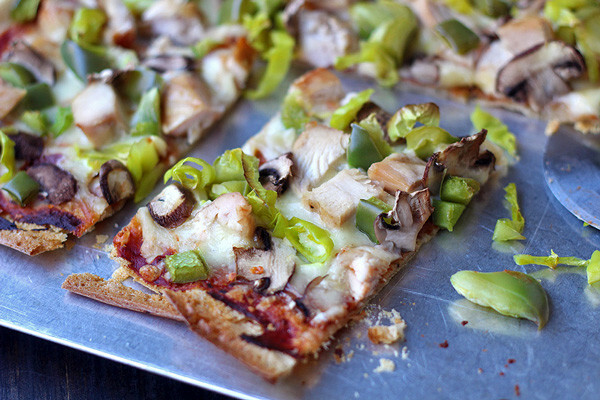 But since I normally give you a recipe, I am giving you my favorite pizza recipe to go on top of the amazing gluten free pizza crust. It’s been my favorite group of toppings on any pizza for years. And years, and years and years. Recently added green peppers. It just makes it even better. It’s funny because I’m not the biggest fan of green peppers normally. They are…ok. But for some reason, I think they are just magical on a pizza. Why? I don’t get it. But I will make it. **Note** – The crust is vegan and dairy free, also. 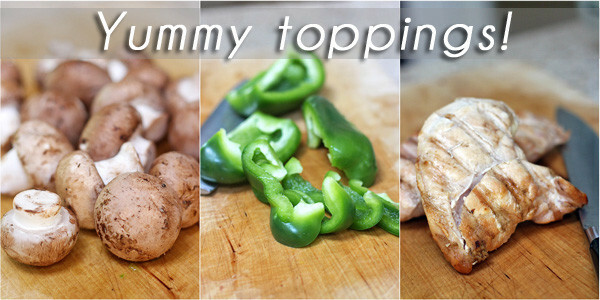 So you can just add your favorite vegan and/or dairy free toppings. 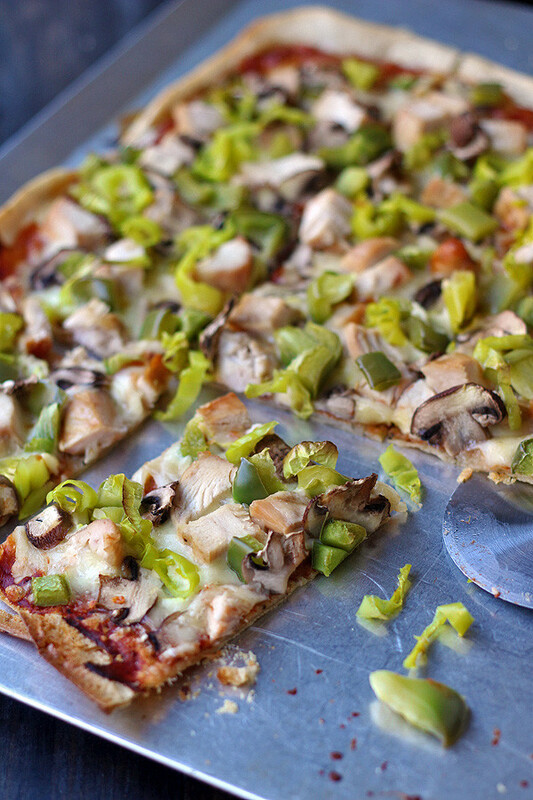 Have your already made crust ready to go on a pre-sprayed cookie sheet/pizza pan. 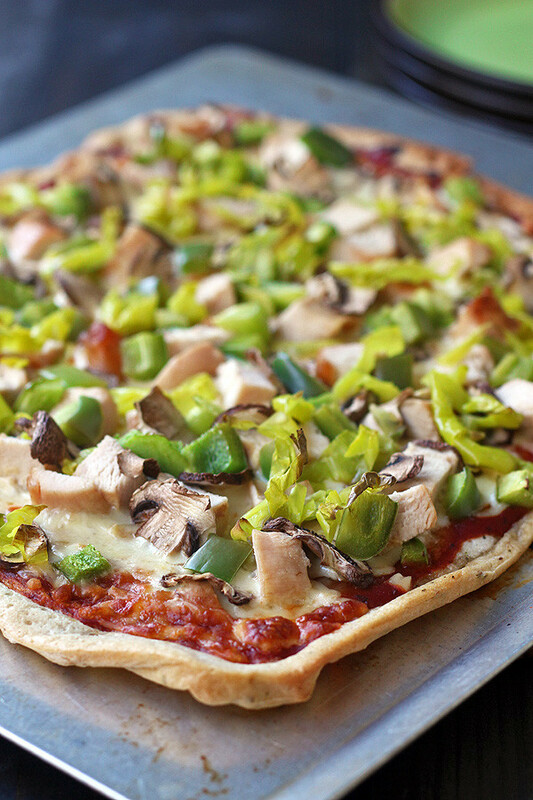 Add the rest of the toppings as you see fit. Bake in the oven for 10 -1 5 minutes, until the cheese is melted and toppings are hot. 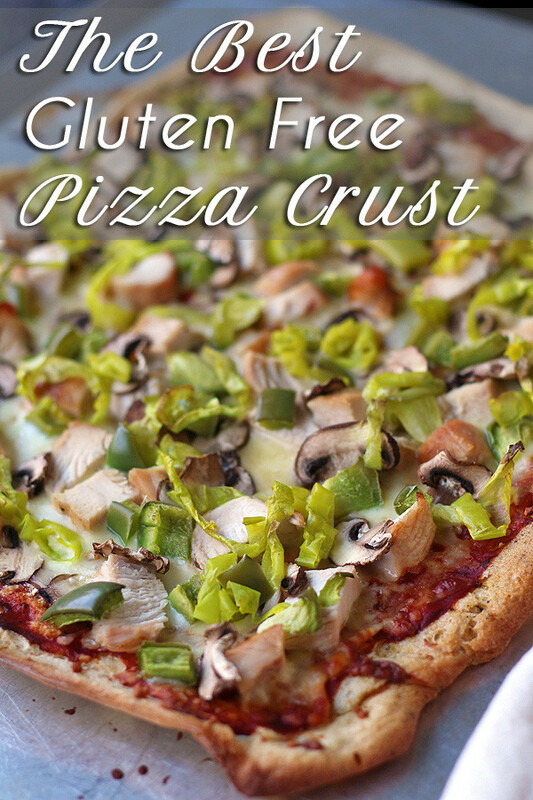 Enjoy the awesomeness of this gluten free, yeast free crust. I haven’t ever tried their pizza crust! 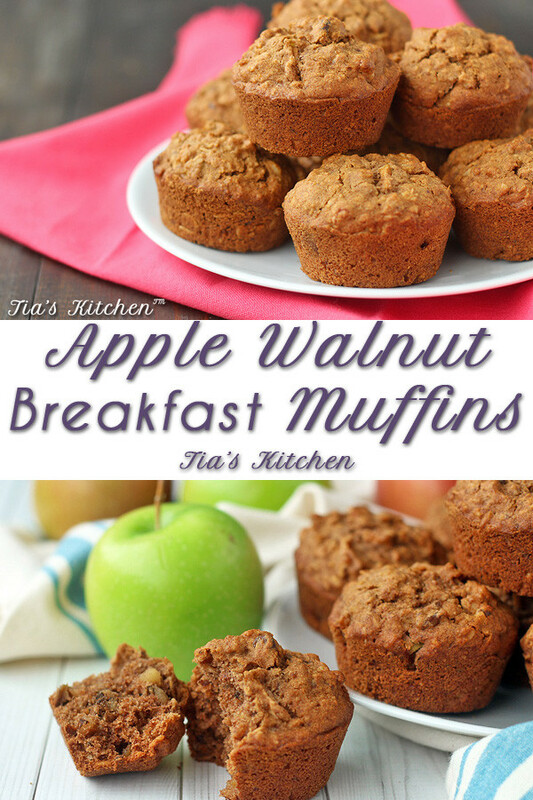 I don;t love their all-purpose mix, but the muffins are decent. Will have try it! It IS good Tia! The key I found was the thinness…to thick and it is my, nice and thin, it crisps up beautifully! I would definitely use this mix again! 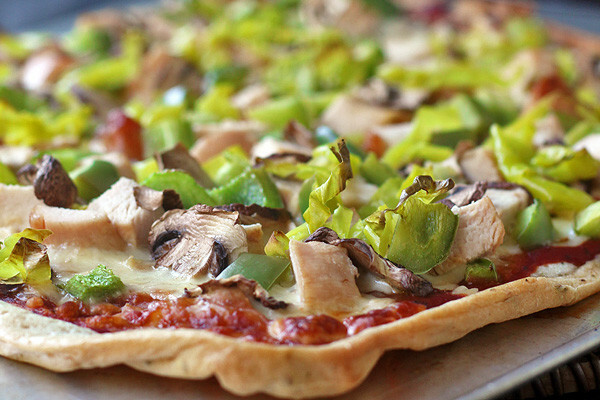 I don’t have to be gluten free but this is still my favorite pizza crust. 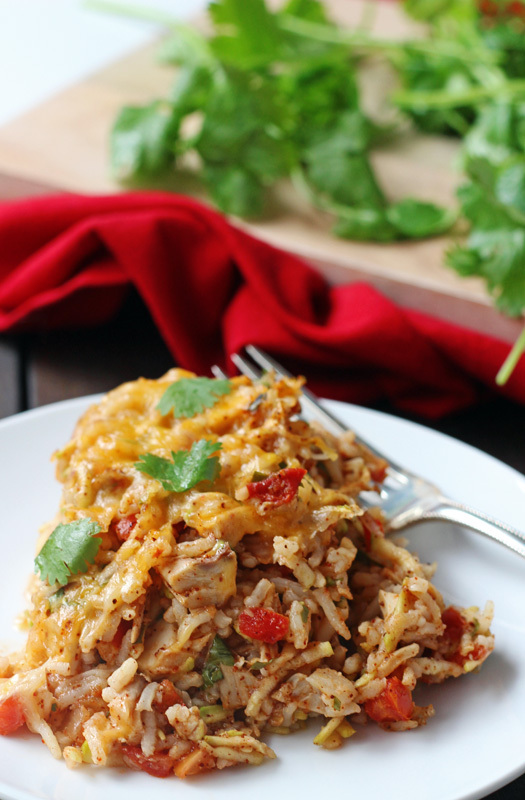 It is perfect when I have it topped with Gorgonzola cheese and other goodies I like.